FREE KRATOM SAMPLE w/any purchase - YOU CHOOSE the STRAIN! WC Red Vein 1 Oz. WC Red Vein 2 Oz. WC Red Vein 4 Oz. WC Red Vein 6 Oz. WC Red Vein 8 Oz. WC Red Vein 1 Lb. WC Red Vein 2 Lbs. Borneo Red Vein 1 Oz. Borneo Red Vein 2 Oz. Borneo Red Vein 4 Oz. Borneo Red Vein 6 Oz. Borneo Red Vein 8 Oz. Borneo Red Vein 1 Lb. Borneo Red Vein 2 Lbs. Red Vein Thai 1 Oz. Red Vein Thai 2 Oz. Red Vein Thai 4 Oz. Red Vein Thai 6 Oz. Red Vein Thai 8 Oz. Red Vein Thai 1 Lb. Red Vein Thai 2 Lbs. Here you'll find some of the best prices and value on Kratom Capsules. Kratom is the only product we deal with so we can offer you exceptional discounts on high quality product. Capsules are no different than Kratom Powder they are just that - Powder put into easy to use capsules which are more convenient for transport, measuring and overall use. It's no wonder Capsules are fast becoming the most popular Kratom product. To help make things simple we would like to suggest Premium Bali if you have no experience with kratom. Reason's being it is the most balanced strain that will give you a good idea of what kratom is all about. You can then tailor what you want from there, if at all. Bali is also one of the most popular strains even among long time fans and a great value so you can't really go wrong with this one! The only thing in our capsules is kratom, never cut or mixed with anything else. 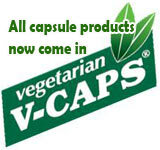 All our products now come in clean and natural veggie (vegetable) caps. Made with completely plant based hypromellose. Non-GMO, preservative and gluten free. What is Kratom? - Is Kratom Legal? - Do Kratom Capsules Work? No statements on the website have been evaluated by the Food and Drug Administration.